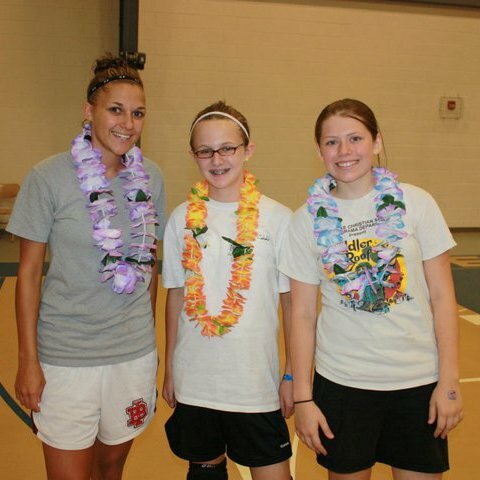 The best all around at camp were Taylor Tsoleas and Katlyn Layman. Can someone tell me the missing name? 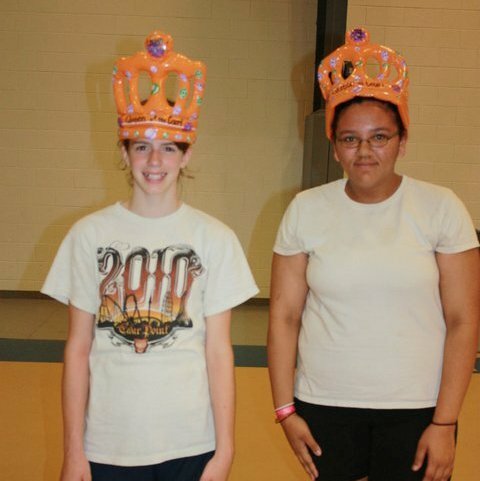 Kayla Bryant, Elizabeth Brooks, and Kristina Sherwin were named the campers with the brightest spirit. Can you help me with the middle girl's name? 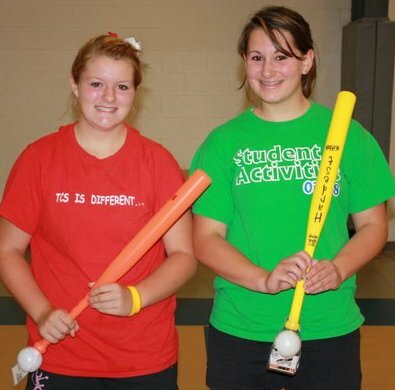 Stephanie Hogan and Jewel Hoornik were named the camp's best hitters. 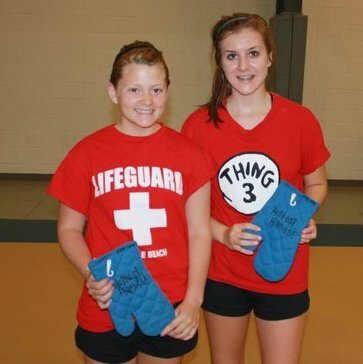 Tabitha Lucado and Stephanie Carroll were named the camp's best diggers. 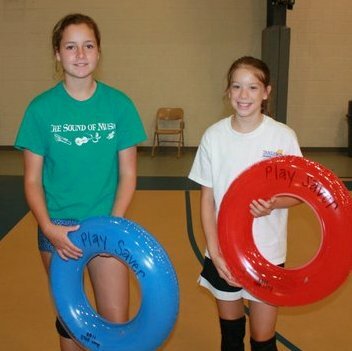 When it came to making great plays, Taylor Massie & Taylor Tanzar were the best! Darian Finnerty and Danielle Alexander were named as most improved. 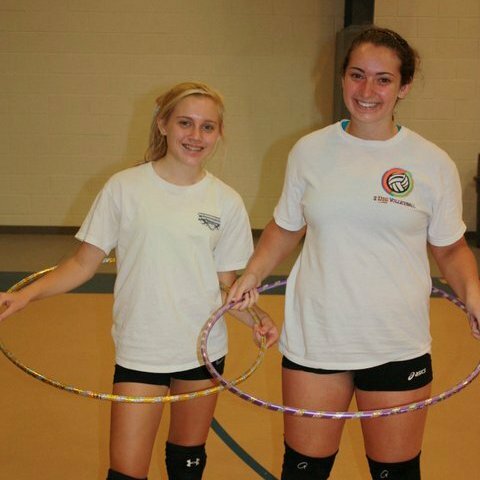 Allison Maddox and McKenzie DeLappe were named as the best setters. 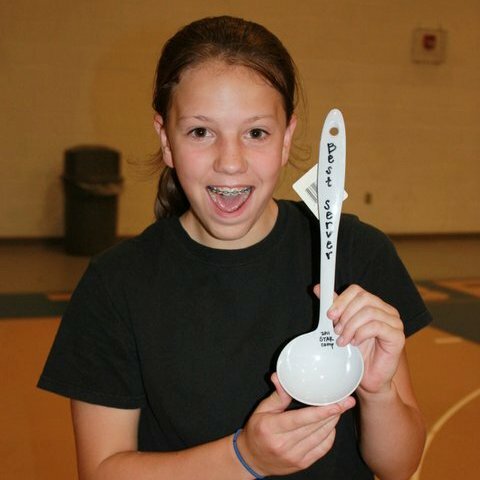 Sallie Robertson was named Server of the Week!